Dwarves are an ancient race of powerful fighters. 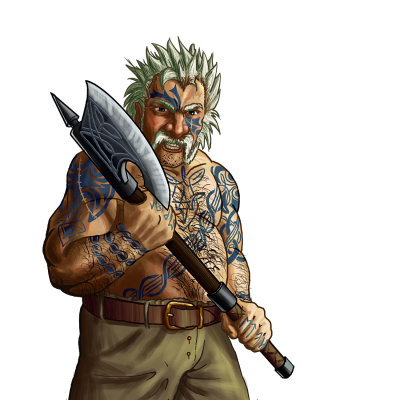 Ulfserkers are the most ferocious of these; in battle, they will work themselves into a blind rage wherein they feel neither fear nor pain, and will pay no heed to any wounds they receive. Specialaj notoj: Whenever its berserk attack is used, this unit continues to push the attack until either it or its enemy lies dead. Last updated on Sat Apr 13 00:39:32 2019.